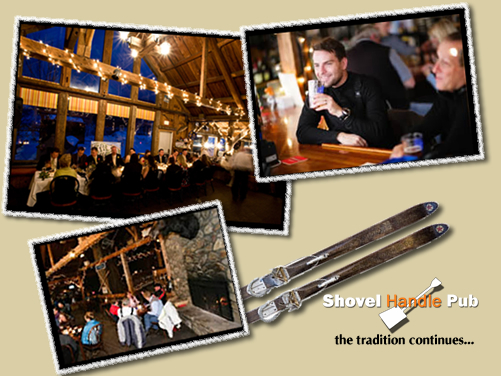 The Shovel Handle Pub has been a favorite of locals and tourists for decades and offers Yankee style cuisine to compliment the rustic charm of this 3-story post and beam barn. With views of Black Mountain Ski Resort out our windows, sit fireside under our moose mascot, and enjoy three levels of dining. Family-friendly live entertainment is offered most weekends. The Shovel Handle Pub also provides a great venue for weddings and parties for up to 125 people.